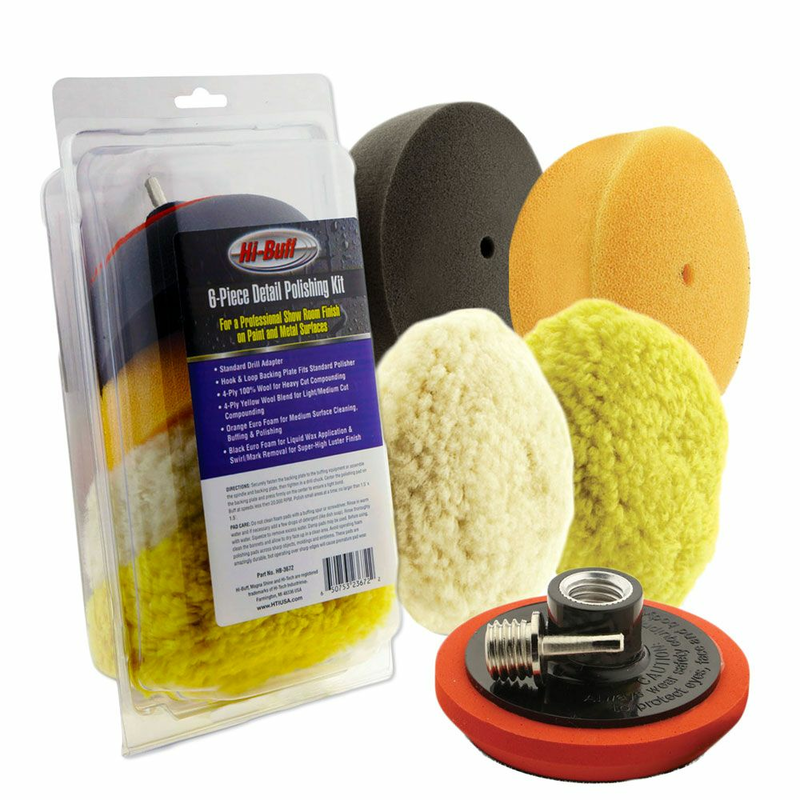 Hi-Buff 6 Piece 3 1/2" Detail Polishing Pad & Backing Plate Kitis perfect for isolated defect removal and is great for hard to reach areas. 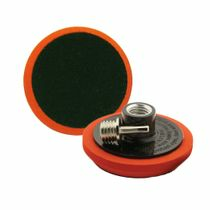 The two foam pads and two wool pads feature a recessed backing for safety to prevent the backing plate from accidental contact with adjacent surfaces. - Pads measure 3" for the hook and look backing and 4" on the front pad face. The Hi-Buff Mini 3.5" Wool Cutting Pad will give you aggressive cutting capabilities for more severe defects such as scratches while the Hi-Buff Mini 3.5" Wool Blend Yellow Cutting Pad is for light to moderate defect removal. 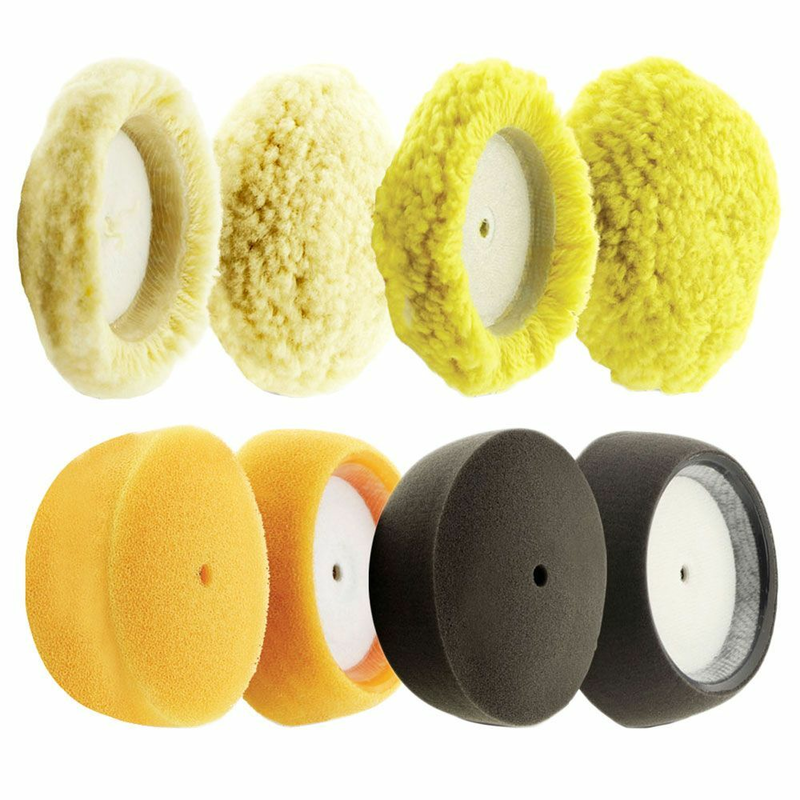 Once you have removed the more serious defects use the Hi-Buff Mini 3.5" Medium Cut Orange Foam Pad to follow up and remove swirl marks, haze and enhance gloss. Take your finish to perfection with the Hi-Buff Mini 3.5" Final Finish Black Foam Pad for fantastic results.